Root Canal Therapy Can Save Your Tooth! Have You Suffered A Traumatic Injury? Dental Implants Can Restore Form & Function! Internal Bleaching Can Restore Your Natural Color! Chestermere Station Endodontics is now open. Our Endodontist, Dr. Simronjeet K. Basati is now accepting new patients. A visit to Chestermere Station Dentistry will delight young and old, as you travel-back-in-time upon entering our early 1900’s train station. Our interactive learning environment will allow patients to gain knowledge about the importance of dental care, in a fun and supportive way. Chestermere Station Dentistry is pleased to offer our patients the option of direct billing for your treatment. Please discuss your insurance needs with our team prior to treatment. Our office is multi-lingual as our Endodontic team speaks English, Punjabi, and Hindi. No referral is required to visit Dr. Simronjeet Basati. Dr. Simronjeet Basati is a certified specialist in the field of Endodontics. 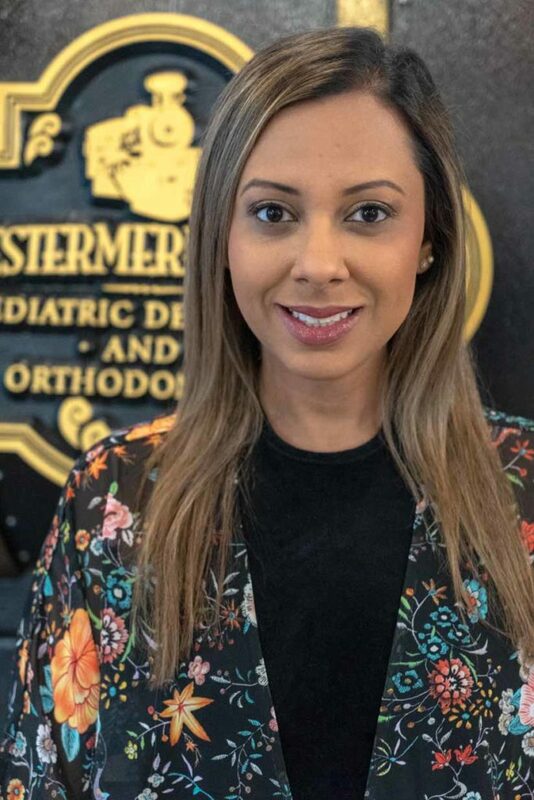 As an Endodontist at Chestermere Station Dentistry, she specializes in maintaining teeth through root canal treatment; treating diseases and injuries to the nerve of the tooth, the root, and the surrounding tissues. Dr. Basati received her Doctor of Dental Surgery degree from NYU College of Dentistry where she graduated with distinction and received several academic and clinical achievements. She then completed a 1 year General Practice Residency at UBC in Vancouver, and from there went on to complete a 2-year Advanced Education Residency Program in Endodontics back at NYU in New York City. She spent the last year working as an Endodontist in Manhattan, Brooklyn, and the Bronx. Dr. Basati is still affiliated with NYU College of Dentistry as an Associate Clinical Professor where she teaches in both the pre – and post-graduate clinics. As an Endodontist, her primary goal is to change the way patients perceive going to the dentist and more importantly the way they view root canals; it is her goal that it should be a pain-free and positive experience. She is extremely comfortable treating patients from all demographics and age group as well as she has extensive experience working with complex cases. She performs all aspects of endodontic treatment; both surgical and nonsurgical. Dr. Basati takes immense pride in working hard, creating comfortable and trusting relationships with patients, and treat each tooth as if it were her own. At Chestermere Station Endodontics, we want to hear from you. If you have any questions or would like to request an appointment. Please complete the form below and we will return your inquiry as soon as possible. If a more immediate response is required please call us at (587) 349-5858 or email us at endo@stationdentistry.com.